Got a little squirrelly a couple times. where did u mount ur gopro on ur helmet ? what category did u race??? tired yourself out on ur practice! Sweet dez, that was pinned! Can you shuttle this track? 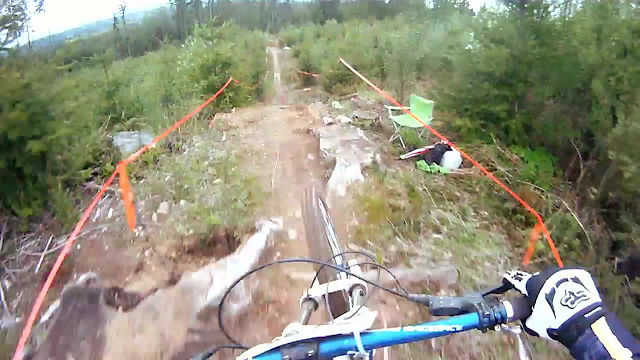 It was the race near Coombs, which is close to Nanaimo, and it happened last weekend.